We’ve been thinking… is there sufficient dialogue between the NHS, pharma and digital health industries? 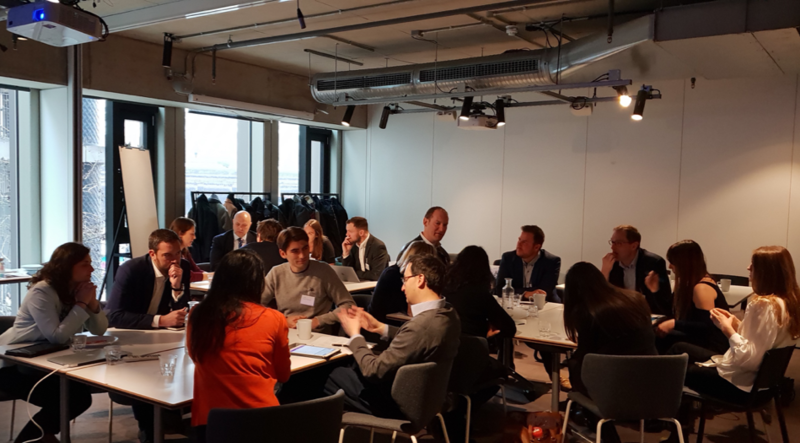 Earlier this week ZPB brought together colleagues from the NHS, pharma and digital health industries to learn from one another and share ideas and innovations. We were delighted to be joined by those from Astra Zeneca, Medopad, GSK and Livi to name just a few, to discuss hot topics including the elusive NHS Long Term Plan, digitisation and how data is changing and making an impact in healthcare. Alex Kafetz, Managing Director at ZPB Associates, spent his evenings reading the 136 page NHS Long Term Plan (to which we are very grateful) and kicked off the seminar with his thoughts. In order to make the plan a success, Alex presented his wish list; coordinated care, straight forward access to digital health and most importantly, the opportunities it presented from companies in the room to deliver the “triple aim” of better health and care at lower costs. However, not everyone is as hopeful about the plan’s success, Chris Hopson, CEO of NHS Providers said recently, “I think I can make a relatively confident prediction here today that everything in this plan is not going to be delivered”. This prompted discussion on how many of the attendees needed to adapt business models to be able to work with STP and ICSs. We also heard from Nikki Patel, Clinical Lead and Head of Evaluation for Digital Development at NHS England who filled us in on the changes happening at NHS England and expressed just how eager the NHS is to work with digital health and tech companies. The latter was certainly music to everyone’s ears and demonstrated the effort being made to future proof the NHS. “The grand disruption of the scientific method”, and opportunities for start-ups in life sciences was presented by Parker Moss, Entrepreneur in Residence in Health technology, at Fidelity Backed Funds: F-Prime Capital and Eight Roads. Parker is at the forefront of new developments in health tech and described how the scientific method is no longer reductionist, but moving towards machine learning, revolutionising our approach to science. Lastly, we got the low-down from The Royal Free NHS Foundation Trust and the digital transformations accomplished to date. Glenn Winteringham, Chief Information Officer and Katie Trott, Chief Nursing Information Officer, discussed their work streams with Google Deep Mind, their IT team teeming with clinicians and how they have handled implementation, making it as easy as possible for the technophobes. All attendees would agree that the frank and diverse conversations had throughout the morning were incredibly valuable. Networking with individuals from the likes of pharma, tech and NHS, who they would not normally meet, allowed concerns to be addressed directly. We definitely felt a buzz leaving the room on Monday and anticipate that collaborations will continue between those that joined us.